Clean Ocean Access intern Emily Daily of Portsmouth collects a water sample Thursday morning at Easton’ s Beach in Newport. Whether you enjoy jumping off Van Zandt Pier, swimming at Kings Park, riding the waves at Ruggles Avenue or swimming at Easton’s Beach, we’ve been monitoring water quality on a weekly basis since 2006. This keeps a laser focus on water quality, especially during September thru May when lots of people use the ocean, but the state monitoring is not performed. We collect 10 water samples every Thursday, every week of the year. For years we have known about dry-weather events with elevated bacteria. In 2015 we were able to document the problem with expanded testing around the Newport Moat with funding from the Lewis Family Foundation. In 2016 in partnership with Newport, Middletown, and the State Health Laboratories we are expanding our testing efforts in the Stream and Moat and testing the water and the sediment as part of a project entitled “storm water pathogens – find it & fix it” funded by the Environmental Protection Agency via the Narragansett Bay Estuary Program. In 2016 we collected 12 water samples and 8 sediment samples, twice monthly for 6 months, an amazing data set! In 2017 we are analyzing the results and sharing our findings, with an overall goal to identify the source of bacteria and develop remediation plans to eliminate it. The current process (Enterolert) requires 24 hours for a water sample to be tested for bacteria, but a new process (qPCR) is being implemented and tested in the summer of 2016 that will reduce the time to 3 hours. That means improved public health, less beach closures and increased tourism. In 2016 and 2017 we are helping the State Health Laboratories to validate the process. We collected 10 water samples per week in the summer and now working with RIDOH on next steps. The objectives of Clean Ocean Access’ Stormwater pathogens – Find it and Fix it program are to identify sources of pathogens impacting Easton’s Beach, Newport RI in conjunction with municipalities of City of Newport, Town of Middletown, Rhode Island Department of Health, to facilitate the development of pathogen remediation plans, and improvements in Stormwater conveyance systems impacting Easton’s Beach. This measurement program focuses on dry weather and wet weather events in watersheds and Storm water systems for water quality impaired by pathogens. 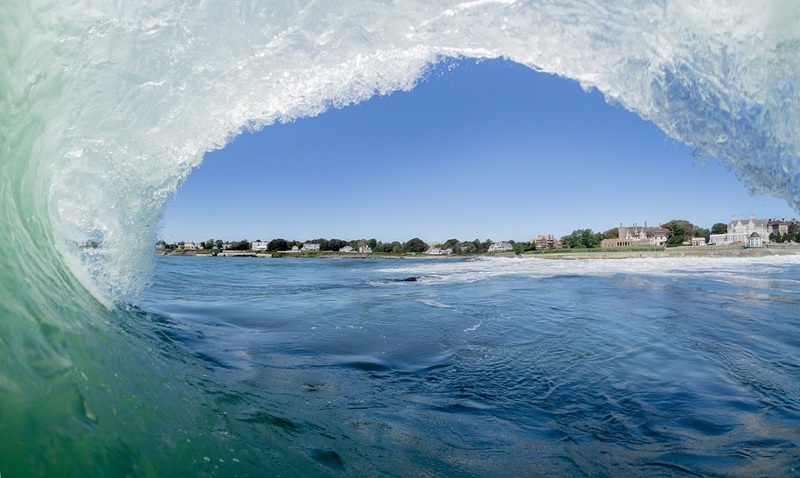 Results of the measurement program will be developed in collaboration with Aquidneck Island communities and used to focus public engagement, best management practices and awareness of the linkage between watershed water quality and beach water quality. Water falls from the sky as a gift and travels across the land and ends up in a pond (for our drinking water) or becomes storm water and ends up in the ocean. This journey of a single drop of water helps to explain the story of why COA is working in the watershed, and in doing so it helps to explain why your most favorite ocean activities depend on a healthy watershed. We collect 8 water samples every week monitoring The Maidford River Watershed and Bailey Brook Watershed for Nitrogen, and Phosphorous. Since 2014 we have been an active partner in the Green Infrastructure Coalition (GIC) composed of 37 organizations ranging from non-profits to state agencies. The main focus on the GIC is to to promote and construct pathways for rainwater, melting snow, and other run-off to avoid pavement and infiltrate earth. On Aquidneck Island we play a role of advocating for GI solutions by sharing water quality results, education with local schools on watershed health, outreach to residential and commercial properties and supporting the efforts of Newport and Middletown to explore Storm Water Enterprise Funds. Starting in the fall of 2016 we are now a partner in the Island Waters Project led by the Aquidneck Island Planning Commission. This is a multi-year project focused on building an island wide municipal framework to improve water quality. 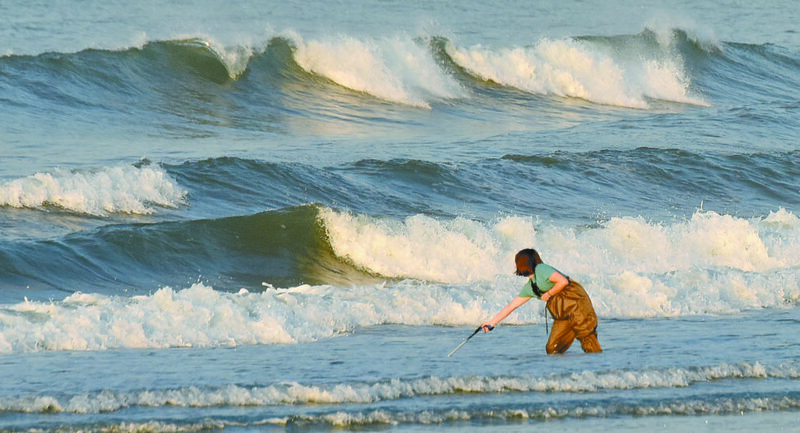 Project partners include Aquidneck Land Trust, City of Newport, Town of Middletown, Town of Portsmouth, and the Eastern Rhode Island Conservation District. Our main role on this project is to lead the education and outreach efforts via direct integration of the Island Waters project into the existing COA core programs and events. 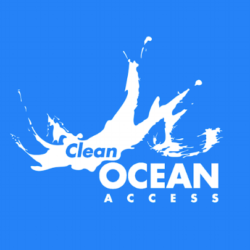 There are “simple ways to improve ocean health” and whether ocean health or clean drinking water inspires your behavior, taking action today is what we need to do. This is why we do education programs with kids and share environmental education at events. Choices in your own backyard such as eliminating the use of pesticides, weed killer, letting your lawn turn brown when it is dry out, or growing more bushes and using a rain barrel, all this helps to improve water quality. With all of the events listed above we put effort into outreach to share these opportunities with the community, via social media, website posts, media advisory, press releases, letters to the editor, earned media, paid media and other channels of communication. A HUGE part of OCEAN program is data processing and disseminating this information. After each set of tests we perform quality control, analysis of observation forms, and share the data. “Passion doesn’t influence policy, but data does!” So, we collect massive amounts of data to influence change.